ClickSend Help Docs - How can I setup a SMS auto-responder? 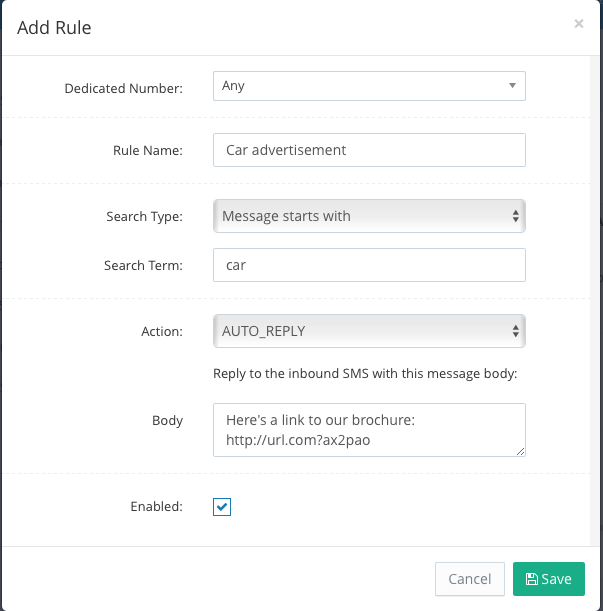 All Categories ​>​ SMS ​>​ How can I setup a SMS auto-responder? Under search Type use 'message starts with', then enter a search term e.g. 'car' (the case isn't important). The search term will be the keyword that will trigger the autoresponder. All done! You can test it out by messaging the keyword to the dedicated number you purchased. You can optionally add the person who messaged as a contact in a contact list. 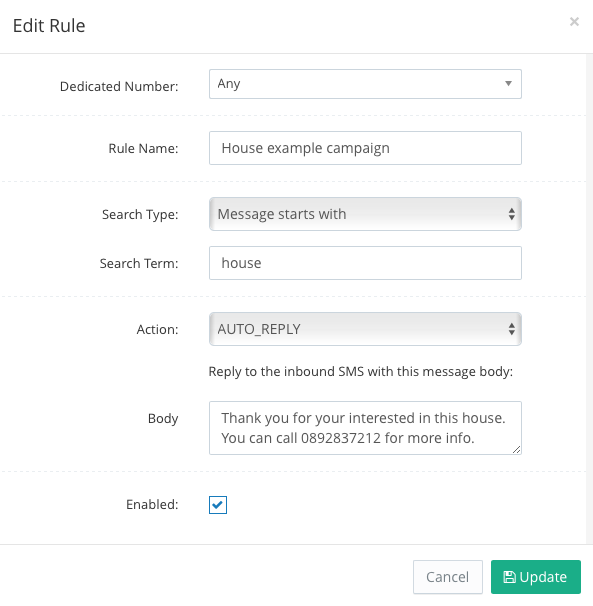 Simply create a new rule with action: 'CREATE_CONTACT'. Then when someone messages in it will auto respond to them AND create a new contact.